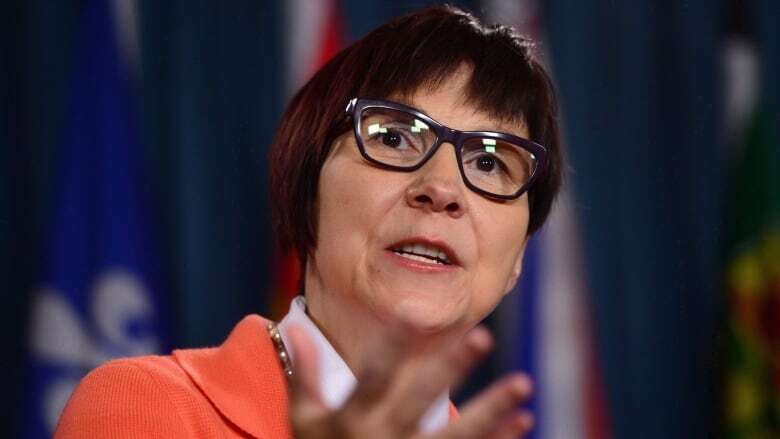 Cindy Blackstock, who helped lead the campaign for improved child welfare services for First Nations, says she's encouraged by this week's federal budget but wants assurances that billions of dollars in new spending will make a real difference in Indigenous communities. The woman who helped lead the campaign for increased child welfare spending for Canada's First Nations said she's encouraged by the money announced in this week's federal budget. But Cindy Blackstock, executive director of the First Nations Child and Family Caring Society of Canada, said the fight for improved services for Indigenous people is not over. "It's encouraging to see such substantial investments because the shortfall was so deep," Blackstock said in an interview with CBC News. "There's room for encouragement. And now we need to use this to inspire all of us to address all the inequalities that First Nations kids experience in public service." Blackstock was a driving force behind a federal human rights tribunal case demanding improved welfare services for First Nations children. Calls for child welfare overhaul filter into Sask. after Tina Fontaine's death in Man. The tribunal sided with Blackstock and her fellow complainants in January 2016, issuing a ruling that found the government had discriminated against First Nations children by underfunding child welfare agencies and ordering the government to overhaul the system. After the tribunal issued a series of compliance orders, the federal government announced earlier this month it would increase funding for First Nations child welfare services. And in this week's budget, Ottawa put a figure on its promise.The budget set aside roughly $5 billion in new spending for First Nation, Métis and Inuit people, with funding for First Nations child welfare rising to about $1.1 billion a year over the next five years. Blackstock said that while the money is good news, she's still not certain that it will bring the government into full compliance with the tribunal ruling. "It's going to bring it a lot closer. We'll have to see, actually, what the mechanics are," she said. "I want to make sure that money is actually getting out there on the ground, that it's addressing those communities that have the highest need and that we're starting to see real opportunities for family support services to be provided." Blackstock spoke to CBC News from Bogota, Colombia, where she is attending a session of the Inter-American Commission on Human Rights, an agency that monitors human rights issues in North, Central and South America. She is speaking to the commission about Canada's treatment of Indigenous youth. While Blackstock sees this week's budget as a good sign, she said she'll continue to push for increased funding in other areas like education and mental health. She said closing the gap between Indigenous and non-Indigenous youth likely will cost tens of billions of dollars but calls it "the best investment anyone could make." Even with the progress that's been made on child welfare, Blackstock said she's not ruling out further legal challenges in areas where she believes Indigenous children are not getting their fair share. "I don't want to spend my entire life litigating against Canada," Blackstock said. "But if that's what's required to get these kids a proper childhood across all services, then that's what's required.